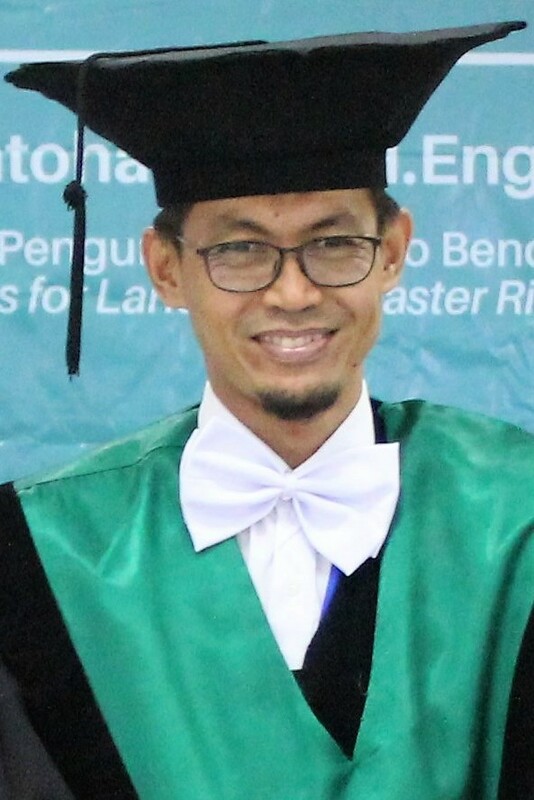 Agus Setyo Muntohar, Ph.D. is Professor in Department of Civil Engineering since 2016. He served in Universitas Muhammadiyah Yogyakarta since April 1999 as Lecturer. His expertise area is in Geotechnical Engineering. He studied Civil Engineering in Universitas Gadjah Mada from September 1993 to November 1997. The Bachelor of Engineering has earned in 19 Februari 1998. Master of Engineering Science (M.Eng.Sc.) has been obtained from University of Malaya in 2004. His Ph.D in Engineering (Dr.Eng.) has been completed from National Taiwan University of Science and Technology in 30 January 2008. He earned Ph.D only two and a half years. In mid 2006, He studied unsaturated soil measurement and instrumentation in Kitamura Laboratory at Department of Ocean Civil Engineering, Kagoshima University, Japan. He has patent in microsilica and microcalcium that registered to Patent Number P00201304681. His h-index is 8 (SCOPUS ) and 13 (GS) respectively. He involves in Indonesian Society for Geotechnical Engineering (ISGE) – member of ISSMGE – as Secretary. He is also representative of the university in International Consortium on Geo-disaster Reduction (ICCGdR). Selected publications can be downloaded using the given link. Please do not hesitate to contact by email if the file cannot be opened. Muntohar, A.S., 2002, Geotechnical hazards in ground and groundwater contamination, Jurnal Semesta Teknika, Vol. 1 No. 6, pp. 1-7. Muntohar, A.S., 2000, Evaluation of the usage of plastic sack rubbish as fabric in expansive embankment stabilization, Jurnal Semesta Teknika, Vol. 3 No. 2, November 2000, pp. 85-95. Muntohar, A.S., 1999, Abu sekam padi untuk stabilisasi tanah lempung (Stabilization of clay soil with rice husk ash), Jurnal Wahana Teknik, Vol. 1, No. 2, Agustus 1999, pp. 1-10. Muntohar, A.S., Suradi, M., Fourie, A., 2014, Development A Boundary of Rainfall-Induces the Stability of A Residuals Soils Slope in Northern Territory, Australia, Seminar Nasional Geoteknik – 2014, Indonesian Society of Geotechnical Engineers, Yogyakarta, Indonesia, 10-11 June 2014, pp. 79-86. Muntohar, A.S., Muhammad, A., Dinor, S., and Damanhuri, 2009, Potensi likuifaksi tanah berpasir di sekitar kolom-kapur (Liquefaction potential of improved sand with lime-column). Konferensi Nasional Teknik Sipil 3 (KoNTekS 3), 6 – 7 May 2009, Universitas Pelita Harapan, Jakarta. Widianti, A., Hartono, E., dan Muntohar, A.S., 2009, Studi Model Embankment Tanah Lempung dengan Stabilisasi Kapur-Abu Sekam padi dan Serat Karung Plastik yang Dicampur dalam Berbagai Konfigurasi, Konferensi Nasional Teknik Sipil 3 (KoNTekS 3), 6 – 7 May 2009, Universitas Pelita Harapan Jakarta. Muntohar, A.S., Muhammad, A., Damanhuri, and Dinor, S., 2008, Karaktersitik kekuatan tanah berpasir di sekitar kolom-kapur (lime-column). Proceeding Seminar Nasional Sains dan Teknologi II (SATEK2), 17-18 November 2008, Universitas Lampung, Bandar Lampung. Muntohar, A.S., 2008, Karakteristik kuat tarik tanah dengan stabilisasi kapur-abu sekam padi dan serat karung plastic, Konferensi Nasional Teknik Sipil 2 (KoNTekS 2), 6 – 7 Juni 2008, Universitas Atma Jaya Yogyakarta, pp. Basha, E.A., Hashim, R., Mahmud, H., and Muntohar, A.S., 2004, Engineering properties of rice husk ash enhanced cement modified residual soil, The 2nd International Conference on Concrete Engineering and Technology (CONCET2004), 19 – 21 April 2004, Langkawi, Malaysia. Muntohar, A.S., 2012, Bahan Buangan: Dari Stabilisasi Tanah hingga Menjadi Bahan Konstruksi, Invited Lecture, Kuliah Umum Fakultas Teknik Universitas Cokroaminoto, 12 Oktober 2012, Yogyakarta. About a billion rupiahs has been granted for research from the university, Ministry of Education of The Republic of Indonesia and the other sources.